Scott Dunlap, 49, is the successor to Runtastic co-founder Florian Gschwandtner. Dunlap must return the company to normal. 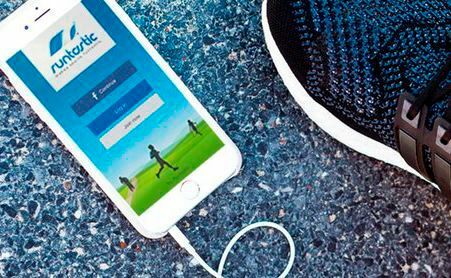 The fitness app Runtastic lost millions of dollars in 2017. No results for 2018 yet. Work is safe. Based on Pasching (Upper Austria), the Austrian troop entrepreneur Runtastic gets a new boss. US – Scott Dunlap (49) will become the new chief of fitness and running apps at the end of May, which became part of Adidas since 2015. Runtastic co-founder and director Florian Gschwandtner retired at the end of December 2018. American born Dunlap will be released with co-founders Alfred Luger, Christian Kaar and Mathis Gerkensmeyer (new leadership team). Announced at the launch of Runtastic. Dunlap has more than 20 years of experience in developing digital products and strategies for large companies and start-ups, including Brilliant Home Technology, NearbyNow and PayPal. Runtastic was sold to Adidas, a German sports goods manufacturer, in mid-2015. At the time, Adidas acquired 50.1% stake in Axel Springer, as well as acquiring a stake in Austrian four founders and venture capital. The company acquired 220 million euros, and Gschwandtner developed a fitness app with three colleagues in 2009. Runtastic currently has about 240 employees. Over the years, Runtastic has added 16 fitness apps to its portfolio. According to the company, about 140 million users need to register for running apps. According to Economics Compass, Runtastic posted a loss of € 3.7 million in 2017 after profits of € 1.4 million in 2016. There are still no figures in 2018. "There is no brand disappearing or plans to reduce jobs," adidas recently told the newspaper "The Standard." In the 2018 annual report of Adidas, the Runtastic brand will not change to a value of 31 million euros at the end of the year. "There was no indication that there was potential damage to the Runtastic trademark," Adidas said in its financial statements.